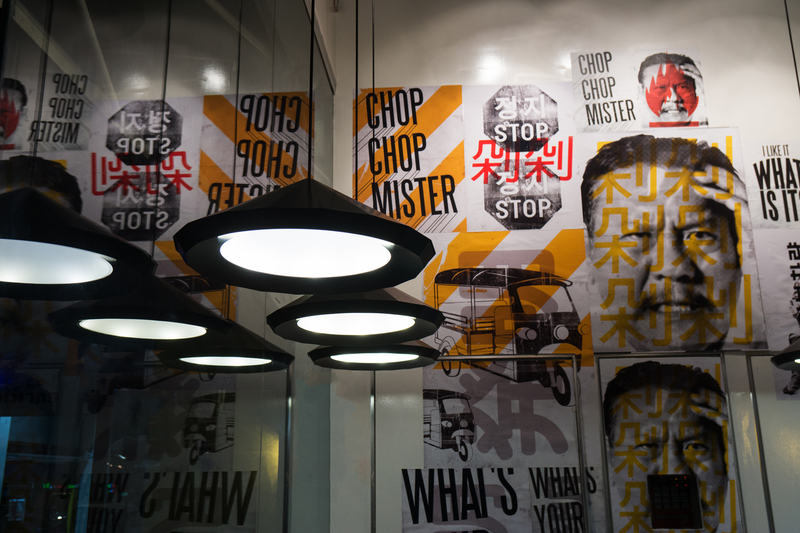 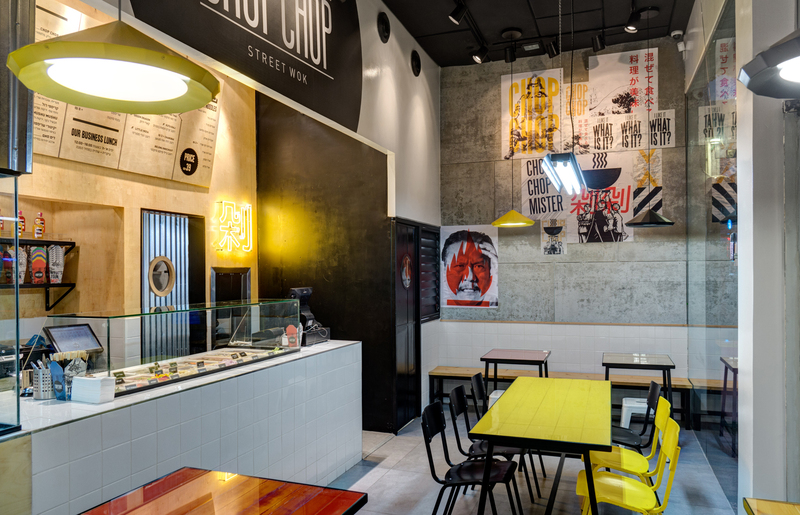 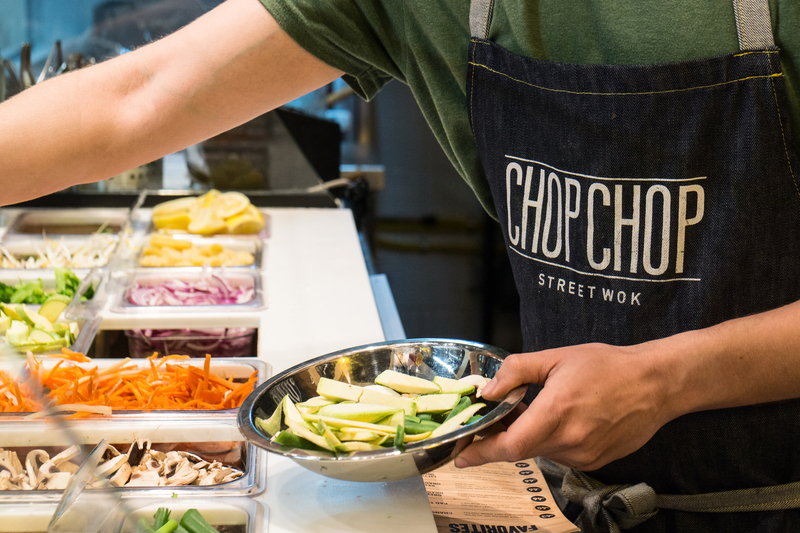 Chop Chop is an Asian fast food restaurant in Tel Aviv. 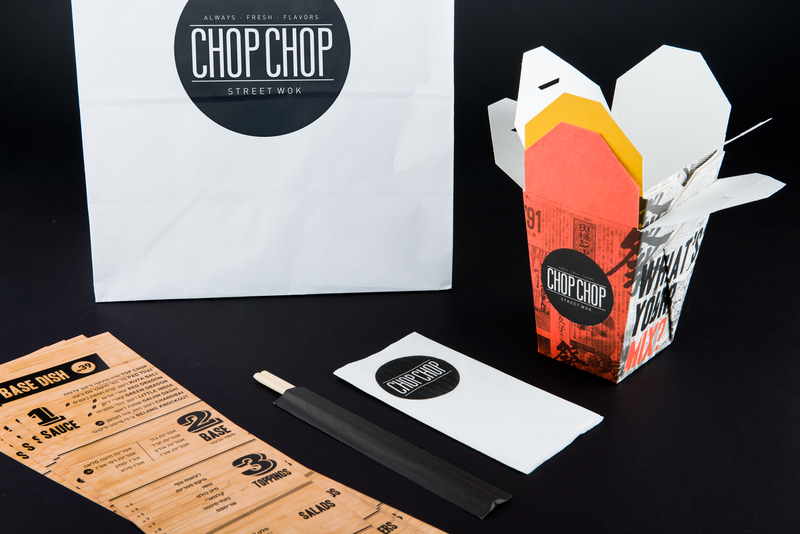 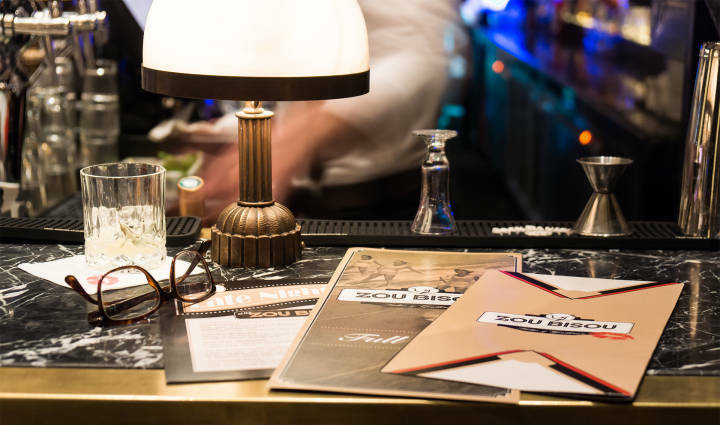 This project consisted of a complete branding process including naming, brand identity, packaging, spatial graphics, as well as the entire planning and interior design of the restaurant itself, including custom-made furniture and products. 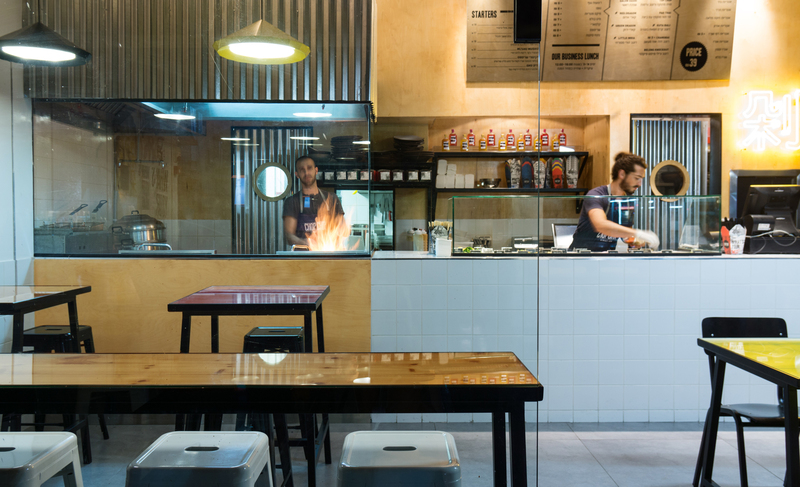 The challenge of this project was to create a cohesive identity within a very small space, the entire restaurant being the size of approximately 60sqm. 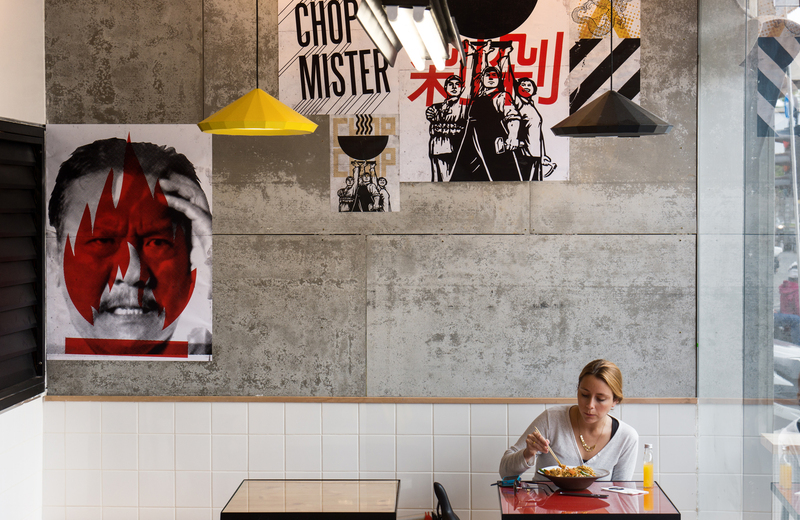 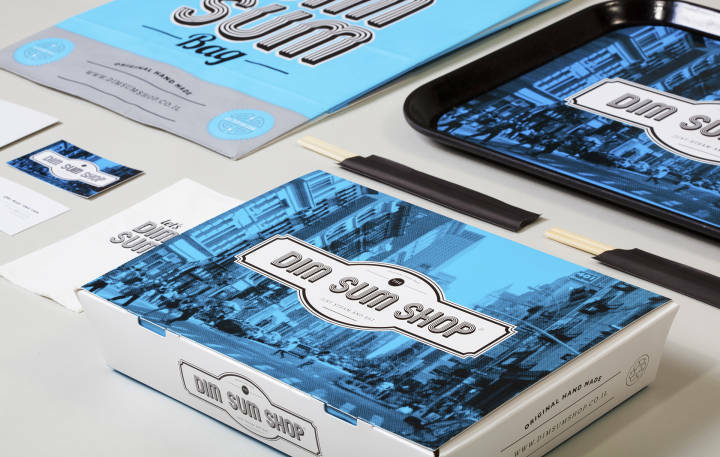 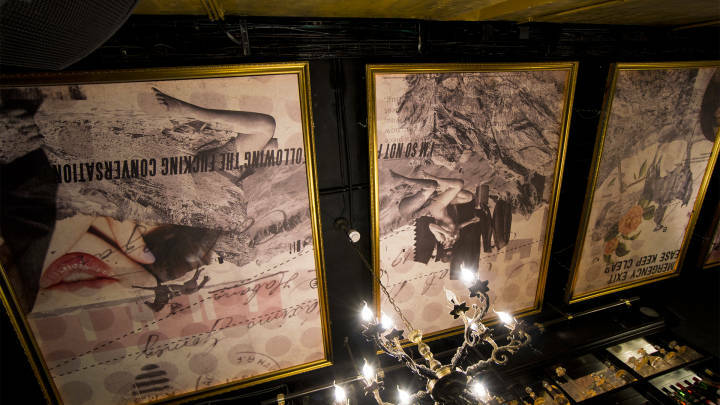 The final result was a melange of Asian street market imagery, a bright, bold color palette, big typography and collage techniques, combined with a high-end atmosphere that fits right into the heart of Tel Aviv. 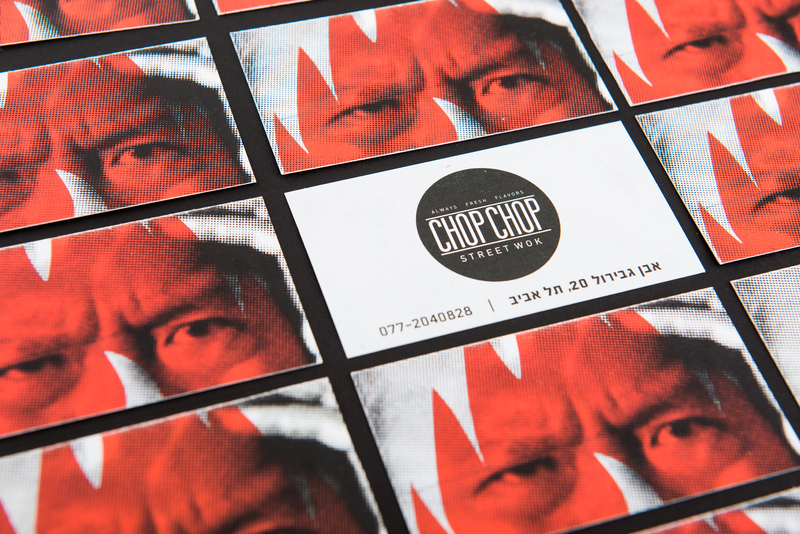 Photography by Peled Studios and DY Photography.